Matsuena Shun, author of "Kenichi: the Mightiest Disciple," begins another story intertwined with his other one-shot manga. This one focuses on Yasaka Tokiwa, the author of the online blog novel, and his one-and-only biggest fan, DEM-III. 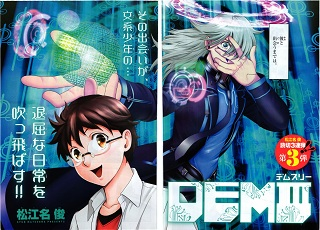 DEM-III is a third generation android built by his predecessor android, DEM-II. Jokingly, Yasaka asks DEM-III if he wants to go to school like a normal human kid. DEM-III accepts this idea and is now part of Yasaka's class. This class now has the four members from the various one-shot mangas from the same author. There's a new transfer student in school named Midori, and she is very cold and set apart from everyone. For some reason, though, everyone seems interested in her. One day, Ao witnesses proof that she is a supernatural being, and confirms with her that she is actually a god. He carelessly asks a wish of her, like people have been sending to the popular "God mail" address that's suddenly been going around school, and she grants his wish. Unfortunately, the cost is high. She kills him-- only to bring him back as a shinigami (death god). Now, Midori informs him that his job is to show up where people are going to kill themselves and die in their place. Ao feels the pain of each death, though, so it's not something he wants to repeat over and over. For that matter, ending a person's single suicide attempt doesn't necessarily mean that he has done anything about the reasons they were willing to take that step. Will Ao find a way to cope with his painful new life? 10 years in the past, the city of Tokyo was consumed by an unknown darkness. It started off as a black speck in the sky. As it grew in size, it consumed everything in its path, creating the area known as the "Lightless Zone." Now, from the darkness arises beings known as "Imashime" ("The Warning"), attacking people during the night. Humanity's only weapon against these Imashime are the "Vess," fighting machines equipped with a piercing weapon that can stop the Imashime from regenerating itself. Saginuma Akashi is at the top of his class when it comes to piloting the Vess. Now, he and a select other few have been selected to be the first battalion to invade the "Lightless Zone" for the first time. Iride Akatsuki has unlocked hidden content in the game he's playing (Naka no Hito Genome), and it turns out that this content is a real-life game! He soon wakes up to find that he has been kidnapped and taken to a strange place, along with a number of other teammates. Each of them specializes in a certain sort of game, like cultivation games, fighting games, puzzle games, etc. A llama-headed 'teacher' gathers them after level 1 is cleared to explain how the game will proceed. Will this group of gamers succeed, and make it back to their real lives? In the late 1800s, Thomas Alva Edison is a famous inventor, but he is also a master of fighting fallen angels who come into the human world. This role is called an 'exorcist' in the church, but Edison, with his new weapons, calls himself an 'artisan.' Levi is the son of a noble house, but when he is orphaned by an angel, he decides to follow Edison. Now he is Edison's apprentice, and does his best to make sure no one again has to suffer as he did. The year is 2019, and the Japanese government has recently increased their involvement in censorship of the mass media. The upcoming Tokyo Olympics accelerates their efforts. Depictions deemed obscene by the Japanese government become increasingly difficult to publish, even in manga. 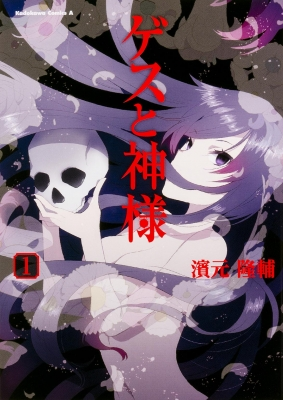 Under these circumstances, manga author Hibino Mikio just got an opportunity to publish his horror manga: "Dark Walker." His manga centers around a disease that turns normal people into cannibals during the night. Watch as Mikio finds himself in a manga industry shaken by a war on the freedom of expression. Gesu no Kamisama seems like it has a lot of potential for storytelling. I don't know if I would save people from suicide if that meant you had to experience the pain of their intended deaths. Also, the first chapter is already scanlated by "#1onlii". Naka no Hito Genome has a pretty common premise, so I think it will depend on what they end up doing as the story progresses. Rengoku no Trisagion was really weird. When I think of "fighters of monsters from another realm", Thomas Edison is not really the first name that pops into mind. DEM III - If you're a fan of Kenichi, and are sad that it has ended, and you're in the mood for androids, then check this out. Gesu to Kami-sama - If you're interested in reading a manga about a god that grants wishes, and want to see how a boy deals with being a shinigami, then this manga is for you. 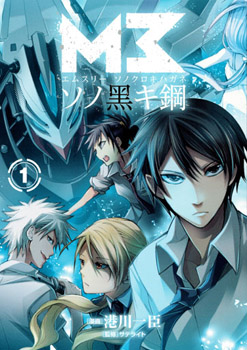 M3 - Sono Kuroki Hagane - If you are in the mood for some action, then you might want to take a look at this manga. 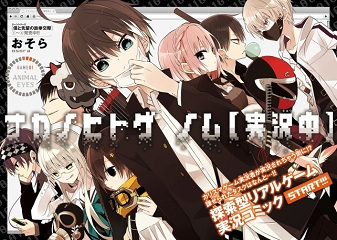 Naka no Hito Genome [Jikkyouchuu] - On the other hand, if you like puzzles then this may be more your speed. 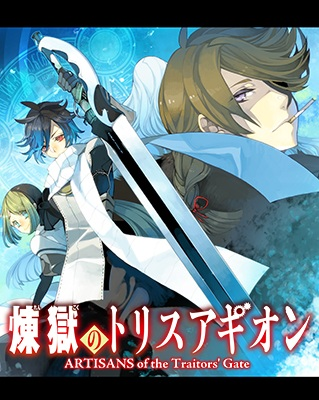 Rengoku no Trisagion - Artisans of the Traitors' Gate - This manga also has action, but with more of a fantastical element, so if that sounds good, then you should check this manga out instead. 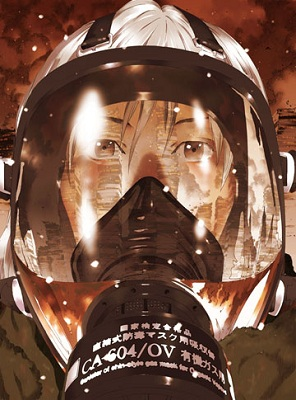 Yuugai Toshi - This manga seems to take an interesting take on the battle for freedom of speech for a mangaka so it may be intriguing to see how he takes on censorship. If that sounds good to you, then you should check this manga out.